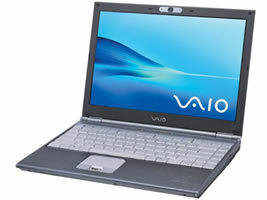 Sony Vaio notebooks are known for their style and reliability. Sony Japan has announced that it’s VAIO type S [SZ] series of notebooks are having problems with BIOS. The problem being that the notebook fails to boot sometimes after user enter the password. This problem affects VGN-SZ70B/B, VGN-SZ80PS/SZ80S and VGN-SZ90PS/SZ90S models. To solve this you can update the BIOS via Sony’s website.